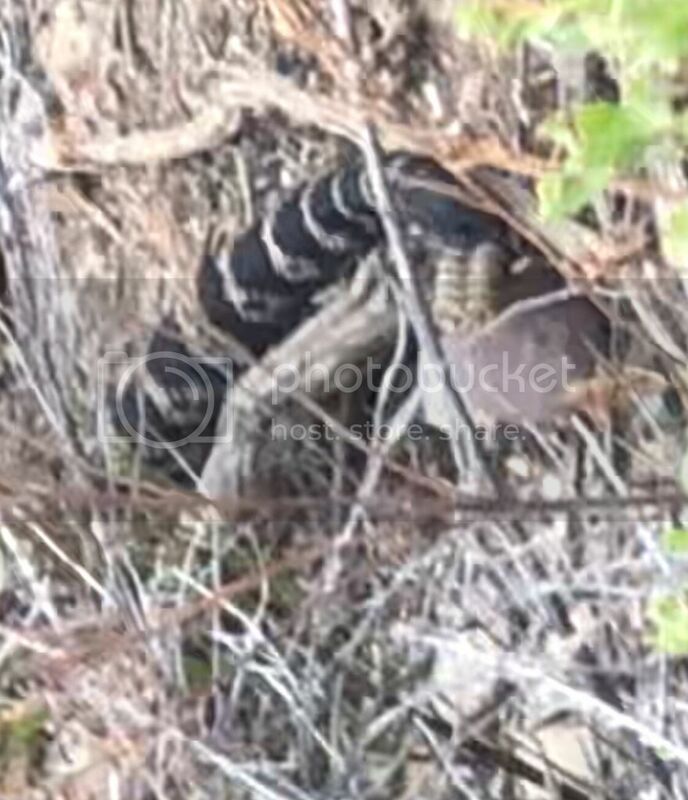 The boys and I were on a walk in Rose Canyon here in San Diego and we came across this rattlesnake. It’s was big and it was all black with white rings. Problem is, we can’t seem to ID it. It looks like a king snake but it clearly has a rattle. Anyone know what species of rattlesnake this is? Thanks! There is no way to identify it without a picture. Please post one if you have it. Was it a Southern Pacific Rattlesnake? I know those are pretty common out there. The snake is black with white rings up and down the length of it's body. I looks very much like a king snake but it clearly has a rattle. Oddly, I can't find any rattlesnakes that look anything like this. OK. Here it is. It looks like no other rattlesnake I've ever seen. What do you think? that would be a south pacific rattlesnake.